Fish Plant: 3,500 lbs. of Mt Lassen Trout were planted at the Marina on 5-3-18. 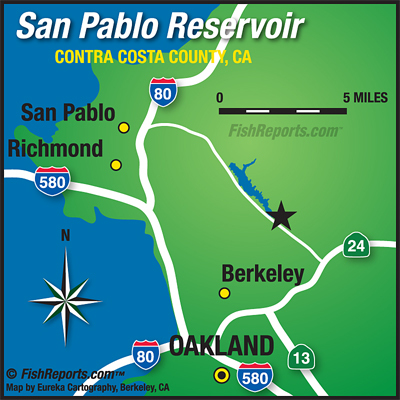 Aaron Baba of El Sobrante caught 5 trout the largest weighing 5 lbs. using a kast master at the marina on 5-3-18. Dino Johnson of Fairfield caught a trout weighing 6.72 lbs. using power-bait at the Oaks on 5-3- 18. Terry Smith a Rocky Mountain Rec employee caught 2 trout using power eggs and Chartreuse power-bait and round top cove on 5-3-18. Diana Gaines of San Ramon caught a trout using Rainbow power-bait in Scow Canyon on 5-4-18. Sami Roddy of San Francisco and friend caught 8 trout the largest weighing 8.39 lbs. using power-bait on 5-5-18.